We love pizza. Perdita could, and at times has seemed to try to eat it almost every day. Unlike many other foods, even bad pizza is usually pretty good. WDW has several places to order pizza. There are traditional pizzas and flat-bread pizzas. I will address flat bread pizzas at a later time. 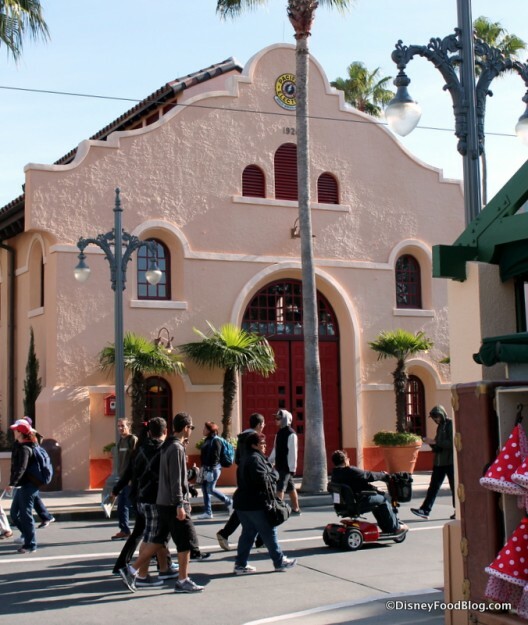 This post is about “the real thing.” I am also not including Downtown Disney/ Disney Springs, because unlike at Disneyland, in WDW it just seems separate. Here is my guide to pizza at WDW theme parks. 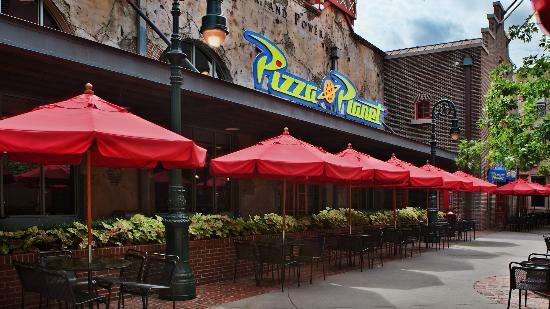 Magic Kingdom – Tony’s Town Square Restaurant offers flat bread pizza. There is surprisingly, no “real pizza” in Magic Kingdom. 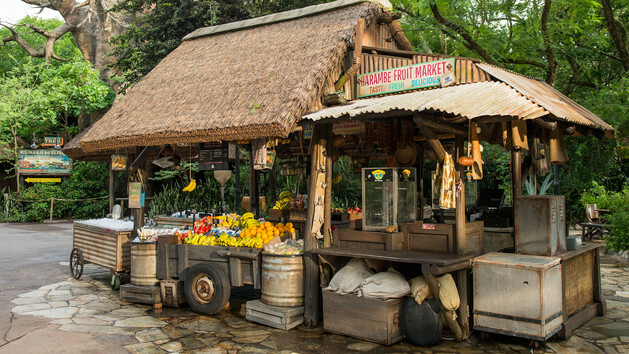 Animal Kingdom – Pizzafari on Discovery Island offers Cheese, Veggie, Pepperoni, and Meat Lovers Pizza, each served with Caesar salad. The prices range from $9.19 to 10.69. The portions are generous. So, it not a bad price for WDW. The pizza is mall food court/ stadium quality. It will take care of your pizza fix, but will quickly be forgotten. 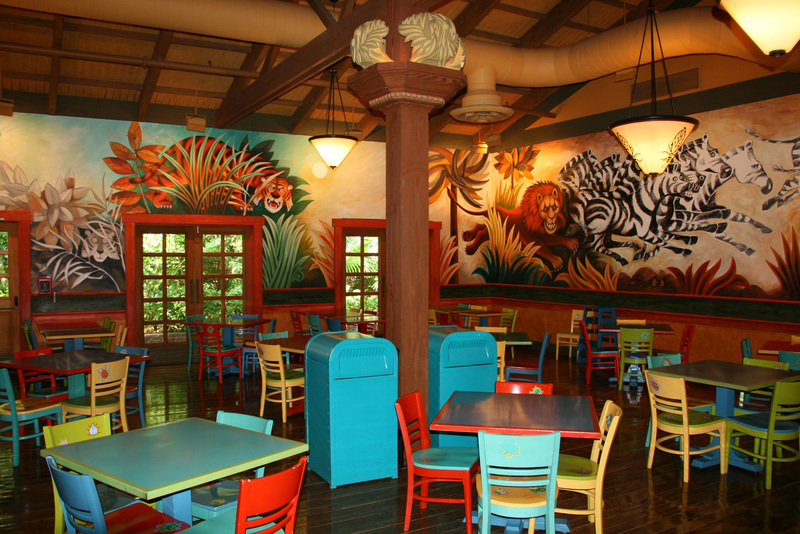 The atmosphere in Pizzafari is fun, though, with bright, playful murals of animals decorating the walls. It is a cool and comfortable place to rest out of the sun. Hollywood Studios – Toy Story Pizza Planet offers the same selection as Pizzafari, served with a Caesar salad. It is the same food and same quality, just a different setting. The theming is of coarse from “Toy Story.” The restaurant can be loud and to me, the theming is forgettable. There is outdoor seating, though. 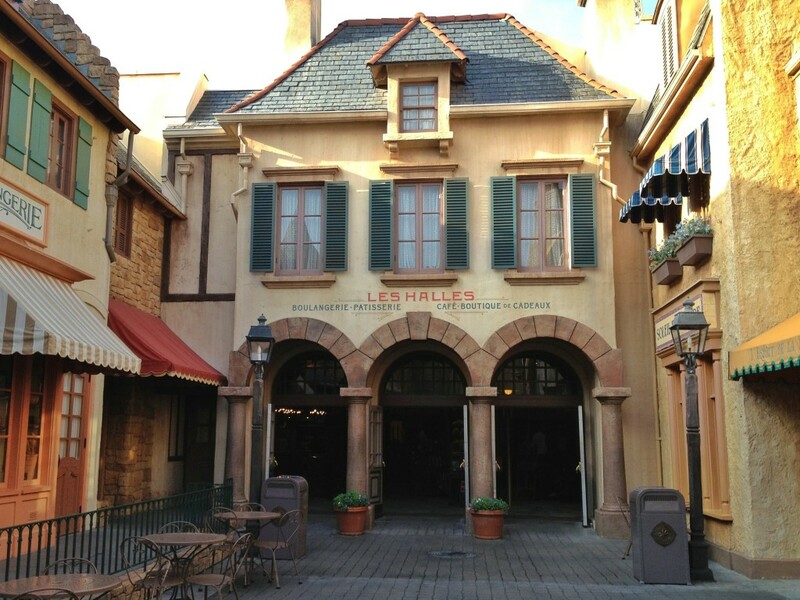 Epcot – Via Napoli Ristorante e Pizzeria in the Italy Pavilion is the only table service restaurant on the list. It offers many varieties of pizza including several authentic Italian pies. The selection includes Napoletana, Margherita, Capricciosa, Pepperoni, Piccante, Funghi, Carciofi, Quattra Formaggi, Prosciutto e Melon, and Broccolini. Every one that I have tried has been wonderful. As you see, there are plenty of selections to fit almost any taste. Large pizzas are $31 and can feed 2 or 3 people. That is not a bad price at all for a table service restaurant at WDW. Of coarse, gratuity will add several dollars to the cost. You can order take out, too, though and find a spot outside to eat. I do recommend that you eat in the restaurant at least once. The cast members are all Italian which adds to the experience. 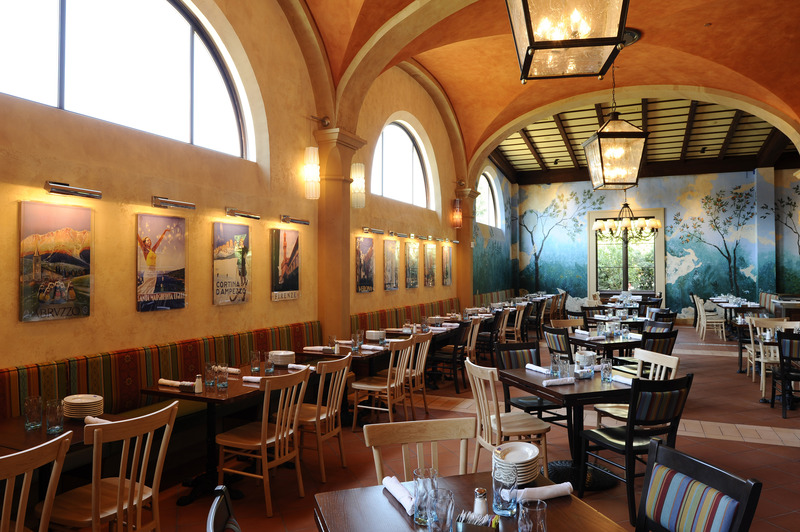 The restaurant is absolutely beautiful with vaulted ceilings, arches, and murals. 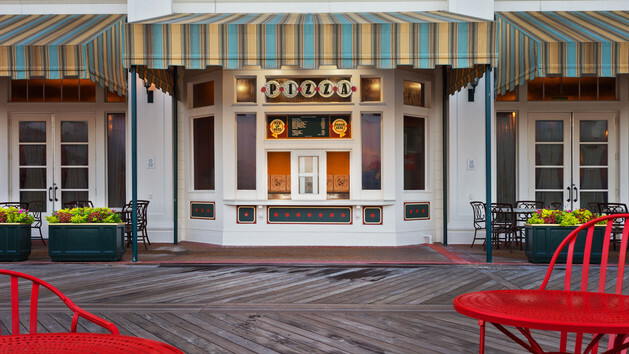 Boardwalk Pizza Window – Even though this option is not in one of the parks, I feel that it should be included due to quality, price and easy access. 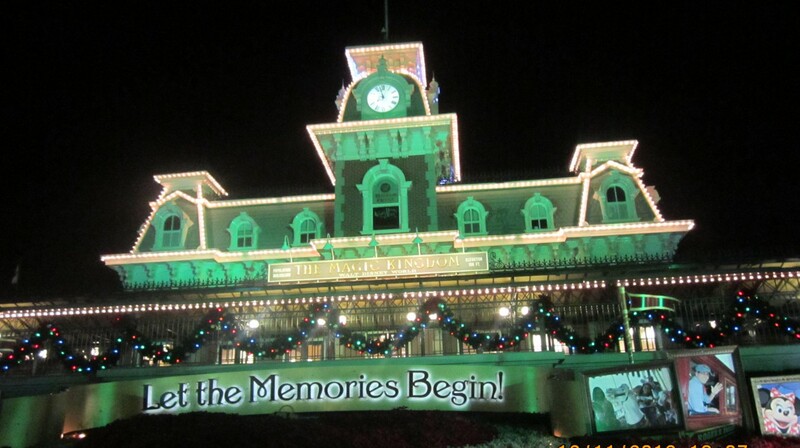 It is located at the Boardwalk Resort. It is a 1/3 mile walk from the International Gateway at Epcot and about 1 mile from the entrance to Hollywood Studios. It can also be reached from either park by riding a Friendship (refer to article about the Friendships from March 25, 2015). New York style cheese, pepperoni, and signature (garlic, mushrooms, and spinach) pizzas are available by the slice ($4.19 – 4.69) or by the pie ($18.99 – 20.49 for a pie large enough to feed 3 or 4). The slices and the pizzas are quite large. The flavor is as good as the price with a mildly spicy sauce and loads of cheese. This is the best value available. there is outdoor seating along the boardwalk at a table, bench or ledge where you can enjoy the view and activities. Hello, Roly here, and today I will be reviewing something my dad, Pongo, has been bugging me to write about for some time, and I’ve never gotten around to. My family and I went to a character breakfast for the first time. You see, my mom, Perdita, had had trouble with Disney and for the trouble, we got a free character breakfast for the trouble. 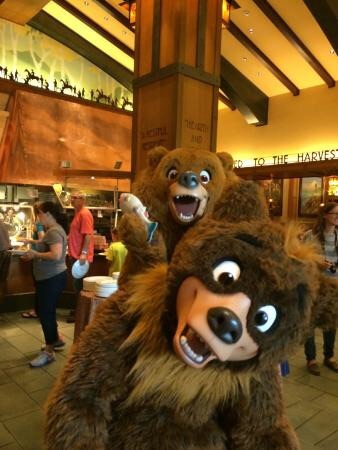 This is a photo of Kenai and Koda, the Bears from Brother Bear.. 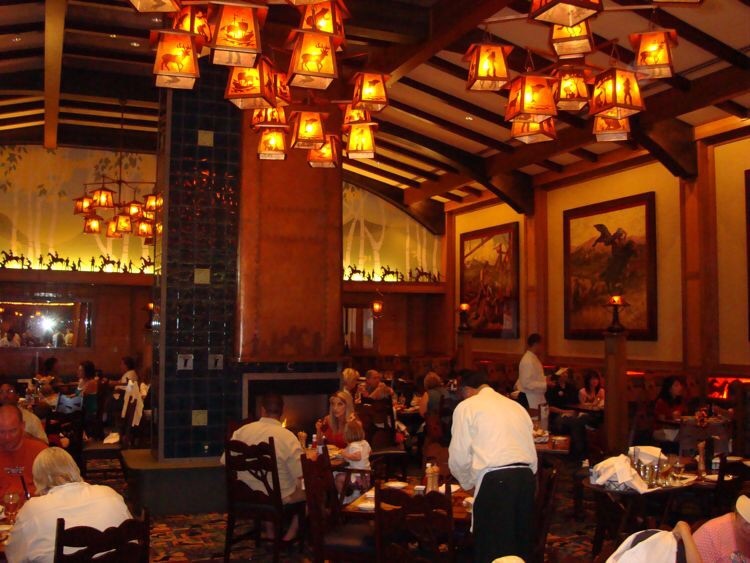 The restaurant itself is a craftsman style restaurant named the Storyteller’s Cafe inside the Grand Californian. Each section of the restaurant is separated by wooden panels with some sort of scene, based upon the saying written above it. The room my family and I were seated in had paintings of people like Davy Crockett on the wall. It was a very nice restaurant, a very good experience, and I highly recommend it.This is a photo of Kenai and Koda, the Bears from Brother Bear.